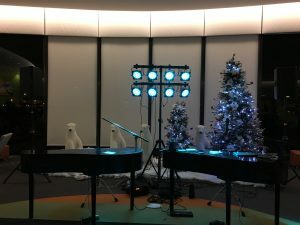 Recently, we played for BP’s holiday event at NorthStar Credit Union in Naperville, IL. 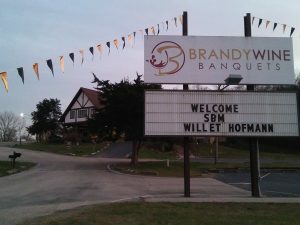 It was a beautiful venue, and we were able to host the event there because the CEO was a member of the club. About one hundred people showed up to the event even though it was probably the coldest day of the year. 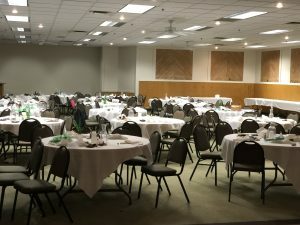 Also, the room was so big that it did not seem crowded at all. The party committee was great too, and even played games with us! When we entered the venue, we had to put on name tags because security is very important at BP. We were very impressed by the openness of the space and the wonderful interior decoration. 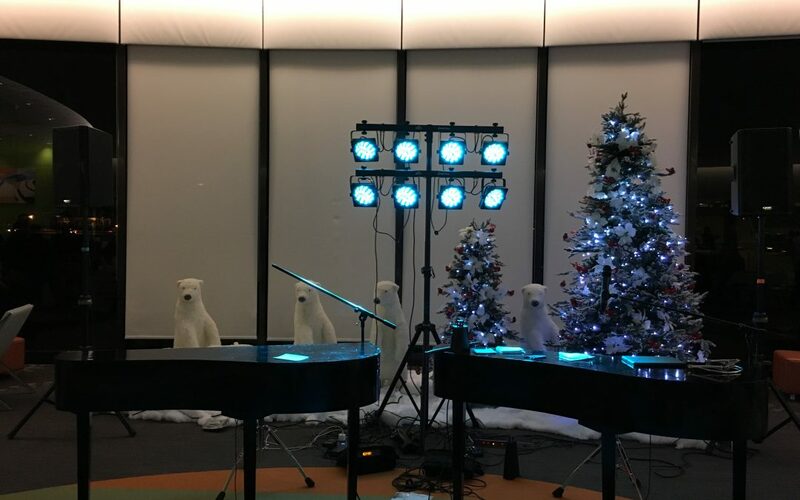 After playing some fun games with the party committee and a speech by the CEO of BP, we set up in front of four polar bear statues and nicely decorated Christmas trees and started playing some classic Christmas tunes. People enjoyed their cocktails for a while before starting to dance. Soon, some of them requested songs and almost everybody was dancing after about twenty minutes. There were different colored lights shining behind us, and gave the room a really festive atmosphere. After we finished, the BP people were so nice that they gave every single one of the performers a bottle of wine at the end. Although it was probably the coldest day of the year, NorthStar Credit Union made it possible for us to play at one of the warmest Christmas celebrations we’ve ever attended! 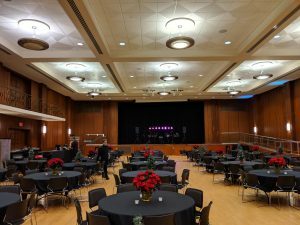 If your company is planning on a corporate event or a holiday celebration, get in touch with us today!